Skipping stones and hopping over cracks. Having a good time, in no hurry to get home. Not so for one little child. She hurries, head down against the chilly air. The seed of Satan, no good. She hurries faster, trying not to notice. 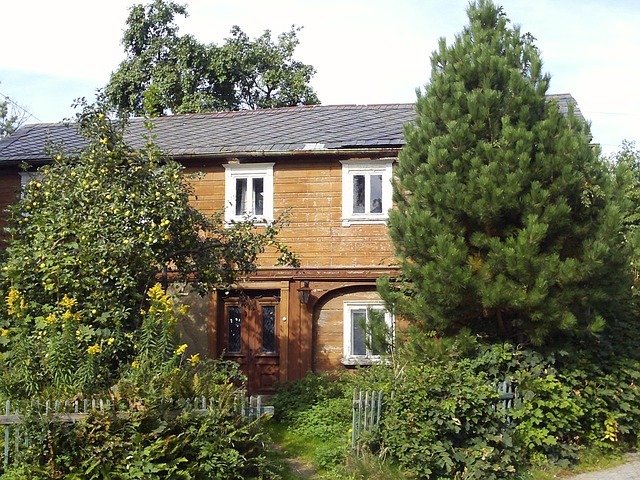 Once a well-respected and stately home. Her mother sits as usual, in front of the fire. Before the tragedy of Willowtown. to them before they died. A witch she is, in league with the devil. Categories: blogging, general fiction, photos, poetry, short story, writing | Tags: blogging, egparsons, elizabeth melton parsons, fiction, image, micro short story, poem, story poem, Tragedy in Willowtown, writing | Permalink. This is one of my favorite Irish folk tales. I know I must have posted it around somewhere before, but here it is for those who have never found it in the archives. Happy Halloween. Jack was a lazy farmer and spent more time at the local pub drinking and betting than tending his crops. He was a prankster and all his mischief making did nothing to endear him to his friends and neighbors. Jack felt sure this was the devil’s doing and if Satan would stop putting so many temptations in his path, he could make a turn for the better. Now Jack figured the devil was as fond of betting as he was and devised a plan to trap him. He’d met Satan at the pub on many a dark night and it was always the same, with the devil offering riches and fame in return for Jack’s soul. Jack of course refused such offers, not wanting riches and having no use for fame. He did, however, want to be less of a sorrowful burden to his family and stop all his evil shenanigans. Although his wife argued vehemently against his scheme, Jack decided to proceed. He was confident the plan would succeed, not to mention, it allowed him to go to the pub every night with a legitimate excuse. He didn’t have long to wait. A few nights passed and Satan once again joined him at his table, buying him ale and making the usual offers in return for his soul. The two left the pub and walked the short distance to the tree. Satan removed his hooded cape and shimmied up the tree without any problems at all. “I made it, Jack, and now you’re mine.” His laugh echoed hollowly from the top branches. Jack’s plan had worked. He could now go about his life without the danger of falling to temptation. Unfortunately he was never allowed to reap the benefits. The very next day, the same tree was felled in a storm and came crashing down on poor Jack, taking his life. Having been involved in more than a few evil misdeeds, Jack was denied entrance to Heaven. It would seem the devil would have his soul after all. But Satan was still angry at having been tricked and would not allow him into Hell. Jack was doomed to walk the earth in the cold darkness for all eternity. He begged the devil to have pity and Satan relented by giving him a single glowing coal. Jack found a large turnip and carved out the middle and front. He placed the burning ember inside and used it to light his way. 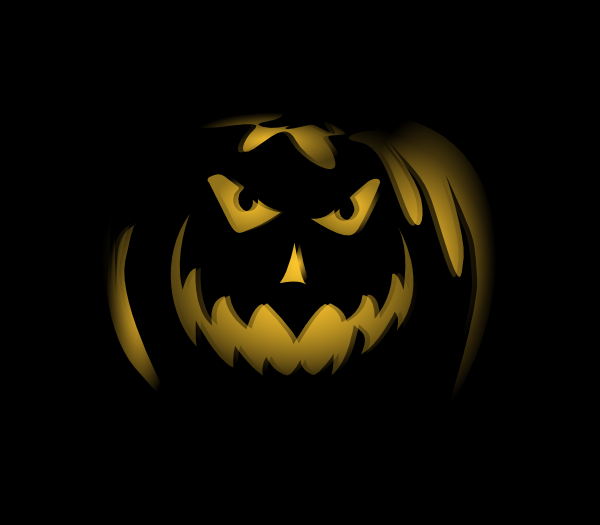 Many have claimed to see the swaying of Jack’s lantern on dark nights and most especially on All Hollows Eve. Perhaps you will, too. Categories: blogging, holidays, photos, short story, writing | Tags: blog writing, blogging, egparsons, elizabeth melton parsons, Halloween, holidays, image, legend of jack o lantern, short story | Permalink. This is a re-post of a story from a few years ago. I’m sure many of you have never seen it and with Father’s Day tomorrow I’m posting it in memory of my dad. Straightening, I stretched my back and wiped the sweat from my brow. The seemingly endless rows of corn offered shade, but blocked any breeze that might offer relief from the sweltering mid summer heat. I longed for the shaded coolness of the creek bank—could almost feel the cold rush of water flowing over my feet, as I delved into the fantasy world of the book I’d began reading the night before. The image lasted no more than a moment before reality reasserted itself. Grumbling, I once again bent to the task of removing the morning glory vines from the fully mature stalks. As I contemplated the insanity of the chore, anger moved over me the way a dark cloud covers the sun. It swelled in intensity with every vine I pulled. By the time I’d reached the end of the row, a raging storm had brewed within me and it’s fury begged for release. Dad stood at the end of the field, leaning on the handle of his hoe. He watched me, as I pulled the vines from the last corn stalk. To my anger-shrouded mind, he seemed an evil overlord and I imagined he’d invented the chore simply to torment me. “If we don’t pull the vines, they’ll choke the corn.” He spoke reasonably, as though any idiot would know this. With every word of this argument, I could feel my peaceful afternoon of reading on the creek bank slipping farther and farther away. My anger wanted to shout out at him, but I pushed it back. I was only fifteen, but far from stupid. If I went so far as to scream at him the way I longed to do, he’d only think of some other way to torture me tomorrow. Glaring at him with an emotion very closely resembling hatred, I turned my back and started down another row. Maybe if I worked fast enough, I could still salvage part of the afternoon. Unfortunately, the work continued till the sun began to set before we trudged wearily to the house when hearing Mom’s call to supper. Every day for the next five, my younger brother and I followed Dad to the field, pulling vines from dawn to dusk. My brother worked quietly while my complaints about pulling the colorful flowers grew louder and more frequent with each passing day. Dad never said anything. I suppose he figured as long as I was getting the job done, I could grumble away. On the last day, I walked lightly to the field, a spring in my step. There was a cool breeze, compliments of the night’s passing storm. It blew over the stalks causing them to sway and ripple in one mass of beautiful green. It was like watching waves rolling over the sea. “It’s lovely.” I said aloud. I thought of the coming autumn and the chore of picking all that corn, throwing it into the wagon and then riding the wagon back to the corncrib in the barn. It brought a smile to my face. It was a chore I loved and never tired of. There would be no complaints coming from my mouth during those workdays. Dad stared at me for a moment before heading for the far side of the field where there were only a few rows left to weed. There would be plenty of time today for reading and my mood brightened even more as I followed behind him. Two days later I stood on the front porch and watched, as Dad dug holes along the garden fence that bordered our drive. He’d been gone all morning and just returned. I couldn’t imagine what he was doing. It was too late in the season for planting. Mom came out and stood beside me. My mouth fell open. “Why?” I could barely get the one word out around the fist-sized lump that had formed in my throat. Dad wasn’t the type of man to show outward signs of affection, and I’d often doubted his love for me. But with every vine he put lovingly into the ground along that fence, I could feel my heart rejoicing and hear the words, I love you, loud and clear in my mind. I never really understood this man who was my father and at times the distance between us seemed much too wide to bridge, but I understood this gesture. Every morning for years afterward whenever I’d step onto the porch and see those lovely purple blossoms, the gulf between us shortened. 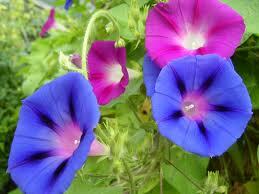 Today when I see morning glories, my heart swells with the memory of this gift of love given by my father. Categories: blogging, family, gardening, holidays, nature, non-fiction, personal post, short story, writing | Tags: a gift of love from Dad, blog writing, blogging, egparsons, elizabeth melton parsons, family, father and daughter, father's day, holidays, nature photos, writing | Permalink. Here’s one of my favorite Poe stories just in time for Halloween. Enjoy! It is impossible to say how first the idea entered my brain, but, once conceived, it haunted me day and night. Object there was none. Passion there was none. I loved the old man. He had never wronged me. He had never given me insult. For his gold I had no desire. I think it was his eye! Yes, it was this! One of his eyes resembled that of a vulture — a pale blue eye with a film over it. Whenever it fell upon me my blood ran cold, and so by degrees, very gradually, I made up my mind to take the life of the old man, and thus rid myself of the eye for ever. Now this is the point. You fancy me mad. Madmen know nothing. But you should have seen me. You should have seen how wisely I proceeded — with what caution — with what foresight, with what dissimulation, I went to work! I was never kinder to the old man than during the whole week before I killed him. And every night about midnight I turned the latch of his door and opened it oh, so gently! And then, when I had made an opening sufficient for my head, I put in a dark lantern all closed, closed so that no light shone out, and then I thrust in my head. Oh, you would have laughed to see how cunningly I thrust it in! I moved it slowly, very, very slowly, so that I might not disturb the old man’s sleep. It took me an hour to place my whole head within the opening so far that I could see him as he lay upon his bed. Ha! would a madman have been so wise as this? And then when my head was well in the room I undid the lantern cautiously — oh, so cautiously — cautiously (for the hinges creaked), I undid it just so much that a single thin ray fell upon the vulture eye. And this I did for seven long nights, every night just at midnight, but I found the eye always closed, and so it was impossible to do the work, for it was not the old man who vexed me but his Evil Eye. And every morning, when the day broke, I went boldly into the chamber and spoke courageously to him, calling him by name in a hearty tone, and inquiring how he had passed the night. So you see he would have been a very profound old man, indeed , to suspect that every night, just at twelve, I looked in upon him while he slept. Upon the eighth night I was more than usually cautious in opening the door. A watch’s minute hand moves more quickly than did mine. Never before that night had I felt the extent of my own powers, of my sagacity. I could scarcely contain my feelings of triumph. To think that there I was opening the door little by little, and he not even to dream of my secret deeds or thoughts. I fairly chuckled at the idea, and perhaps he heard me, for he moved on the bed suddenly as if startled. Now you may think that I drew back — but no. His room was as black as pitch with the thick darkness (for the shutters were close fastened through fear of robbers), and so I knew that he could not see the opening of the door, and I kept pushing it on steadily, steadily. Presently, I heard a slight groan, and I knew it was the groan of mortal terror. It was not a groan of pain or of grief — oh, no! It was the low stifled sound that arises from the bottom of the soul when overcharged with awe. I knew the sound well. Many a night, just at midnight, when all the world slept, it has welled up from my own bosom, deepening, with its dreadful echo, the terrors that distracted me. I say I knew it well. I knew what the old man felt, and pitied him although I chuckled at heart. I knew that he had been lying awake ever since the first slight noise when he had turned in the bed. His fears had been ever since growing upon him. He had been trying to fancy them causeless, but could not. He had been saying to himself, “It is nothing but the wind in the chimney, it is only a mouse crossing the floor,” or, “It is merely a cricket which has made a single chirp.” Yes he has been trying to comfort himself with these suppositions ; but he had found all in vain. ALL IN VAIN, because Death in approaching him had stalked with his black shadow before him and enveloped the victim. And it was the mournful influence of the unperceived shadow that caused him to feel, although he neither saw nor heard, to feel the presence of my head within the room. When I had waited a long time very patiently without hearing him lie down, I resolved to open a little — a very, very little crevice in the lantern. So I opened it — you cannot imagine how stealthily, stealthily — until at length a single dim ray like the thread of the spider shot out from the crevice and fell upon the vulture eye. It was open, wide, wide open, and I grew furious as I gazed upon it. 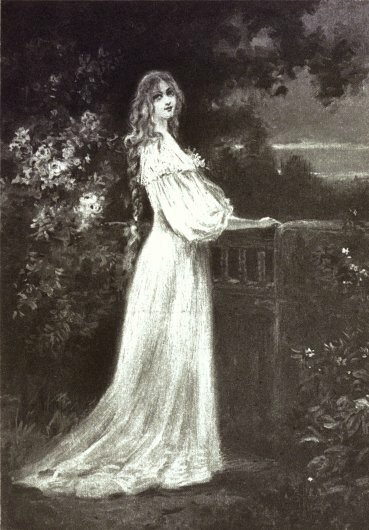 I saw it with perfect distinctness — all a dull blue with a hideous veil over it that chilled the very marrow in my bones, but I could see nothing else of the old man’s face or person, for I had directed the ray as if by instinct precisely upon the damned spot. And now have I not told you that what you mistake for madness is but over-acuteness of the senses? now, I say, there came to my ears a low, dull, quick sound, such as a watch makes when enveloped in cotton. I knew that sound well too. It was the beating of the old man’s heart. It increased my fury as the beating of a drum stimulates the soldier into courage. But even yet I refrained and kept still. I scarcely breathed. I held the lantern motionless. I tried how steadily I could maintain the ray upon the eye. Meantime the hellish tattoo of the heart increased. It grew quicker and quicker, and louder and louder, every instant. The old man’s terror must have been extreme! It grew louder, I say, louder every moment! — do you mark me well? I have told you that I am nervous: so I am. And now at the dead hour of the night, amid the dreadful silence of that old house, so strange a noise as this excited me to uncontrollable terror. Yet, for some minutes longer I refrained and stood still. But the beating grew louder, louder! I thought the heart must burst. And now a new anxiety seized me — the sound would be heard by a neighbour! The old man’s hour had come! With a loud yell, I threw open the lantern and leaped into the room. He shrieked once — once only. In an instant I dragged him to the floor, and pulled the heavy bed over him. I then smiled gaily, to find the deed so far done. But for many minutes the heart beat on with a muffled sound. This, however, did not vex me; it would not be heard through the wall. At length it ceased. The old man was dead. I removed the bed and examined the corpse. Yes, he was stone, stone dead. I placed my hand upon the heart and held it there many minutes. There was no pulsation. He was stone dead. His eye would trouble me no more. I took up three planks from the flooring of the chamber, and deposited all between the scantlings. I then replaced the boards so cleverly so cunningly, that no human eye — not even his — could have detected anything wrong. There was nothing to wash out — no stain of any kind — no blood-spot whatever. I had been too wary for that. When I had made an end of these labours, it was four o’clock — still dark as midnight. As the bell sounded the hour, there came a knocking at the street door. I went down to open it with a light heart, — for what had I now to fear? There entered three men, who introduced themselves, with perfect suavity, as officers of the police. A shriek had been heard by a neighbour during the night; suspicion of foul play had been aroused; information had been lodged at the police office, and they (the officers) had been deputed to search the premises. The officers were satisfied. My MANNER had convinced them. I was singularly at ease. They sat and while I answered cheerily, they chatted of familiar things. But, ere long, I felt myself getting pale and wished them gone. My head ached, and I fancied a ringing in my ears; but still they sat, and still chatted. The ringing became more distinct : I talked more freely to get rid of the feeling: but it continued and gained definitiveness — until, at length, I found that the noise was NOT within my ears. Categories: short story | Tags: E. G. Parsons, edgar allen poe, elizabeth melton parsons, Halloween, horror story, short story by poe, The Tell Tale Heart | Permalink. Through poetry and short stories four authors, Brintha J. Gardner, Debbie A. Stevens, M. Jean Pike, and E. G. Parsons reflect on life ~ both the good and the bad. This book is dedicated to those providing shelter to the homeless and all royalties earned will be donated to family shelters. Thank you for your support of the wonderful people who provide shelter to those without homes. Categories: books, poetry, short story | Tags: angel poems, anthology, Aussie writer Debbie A. Stevens, Brintha J. Gardner, charity book, E. G. Parsons, elizabeth melton parsons, family stories, Indiana writer, love poems, nature poems and stories, new york writer, poetry, royalties to homeless shelters, short stories, story of abuse | Permalink. Supper was over and I’d settled several residents in the lounge to smoke and converse together, while others were in their rooms watching TV or reading. The scent of their cigarettes drifted to the desk where I was finishing some paperwork and caused my craving for a smoke to increase. I tried to put it out of my mind. I’d been cutting back in an effort to quit, but knew I was failing miserably. With Pat answering lights for me and by working through first break, I’d managed to finish most of the showers. Now I kept an eye on the hallway and as soon as I saw her returning from supper break, I jumped up and hurried her way. “Oh, yeah. Starving.” She laughed again, knowing full well how badly I was wanting a smoke. I squeezed my way into the tiny staff lounge and found a vacant seat. Lighting my cigarette, I took a deep draw, sighing in satisfaction and wishing for the hundredth time that I had even a shred of will power. Several people were just finishing and rose to leave the room, making jokes about aching feet and breaking backs. With their exit, the room seemed to expand and become more comfortable. “Hey, Gail, are you in here?” Peggy’s sleek dark head appeared around the corner of the door. “I’m here, come on in and talk to me.” Peggy was one of my dearest friends and I knew she’d waited to take supper until she was sure I’d be here. I stubbed out my cigarette in the ashtray and rose to take our sandwiches and drinks from the fridge. Sliding hers across the table, I sat facing her. I shook my head, not wanting to talk around a mouth full of sandwich. Joe was one of the few male aides in the facility. He’d moved here from another state and had taken his classes and licensing exam the same time I had. Joe was in his forties, thin and shorter than most of the female aides. He always managed to get his work done on time and most of the residents liked him. “What! Is Jeb all right?” I knew my face had gone red, could feel the heat rushing into it. Anger swept over me. I couldn’t believe anyone could be so vicious, as to assault a helpless old man. Jebediah Davis suffered from senility and was bedfast. Although a few of the residents could be violent and abusive to staff, he wasn’t one of them. He had a sweet demeanor and was always cooperative. Her brows rose into peaks, but she remained silent, waiting for me to say more. I told her about Katie. Categories: general fiction, short story, writing | Tags: CNA, eg parsons, elder abuse, elizabeth melton parsons, fiction, Katie blue eyes, nursing homes, short story, writing | Permalink. “Just curious.” I’d had my suspicions about Barb for a while now and the fact that Katie didn’t want the woman near her only strengthened them, but why hadn’t she let Kevin put her to bed? “Here comes Pat. I’m out of here. Have fun.” Janice hurriedly draped her sweater over her shoulders, grabbed her purse and was halfway to the time clock before Pat had even reached the desk. “Where’s she going in such a hurry? Got a hot date or something?” Pat turned and watched, as Janice rushed down the hall. “Thanks, Pat.” Sighing heavily, I hurried down the hall in answer to the blinking light over Mr. and Mrs. Paulson’s door. The couple was self-reliant, so I hoped whatever they wanted could be quickly dealt with. It was going to be a long night and I needed to find time to question Katie about Barb in such a way that she wouldn’t know I was fishing for information. Categories: non-fiction, short story, writing | Tags: blogging, egparsons, elder abuse, elder care, elizabeth melton parsons, mystery, non-fiction, nursing home abuse, short story, writing | Permalink. Categories: family, non-fiction, short story, writing | Tags: a father's gift, eg parsons, elizabeth melton parsons, family, farming, father and daughter, love, morning glories, remembering dad, short story, weeding corn | Permalink.